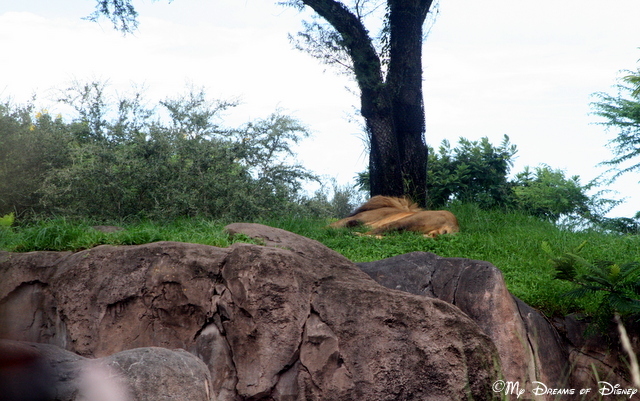 Later in the day, the lion is resting while we all take pictures of it! Kilimanjaro Safaris is perhaps the best known part of Disney’s Animal Kingdom park. There are so many incredible things to discover about this attraction! We have selected it for #Day13 in our #DisneyWorldCountdown because it is one ride that we are really looking forward to seeing. Most of the time when we ride it, it’s later on in the day, and we get shots like the one above of the lion…but this year, we are going to wake up early, go to Animal Kingdom, and experience the Safaris early, while the animals are still active in their daily activities! That will be a treat for me, one in which I hope to get many incredible photos for you all to see. 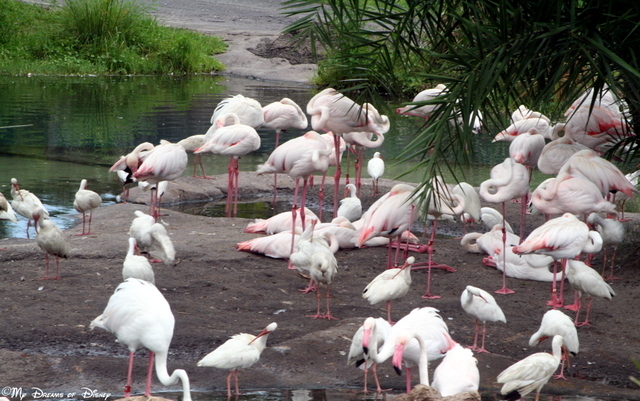 The flamingos are present in this shot on Kilimanjaro Safaris! The young giraffe looks like he’s smiling or laughing at us! The giraffes are so expressive, the one above looks like it’s laughing at us and our attempts to take pictures of him and his friends! Watch out, though, because they have long tongues for getting to their food, and if you get too close, a tongue bath may not be much fun! 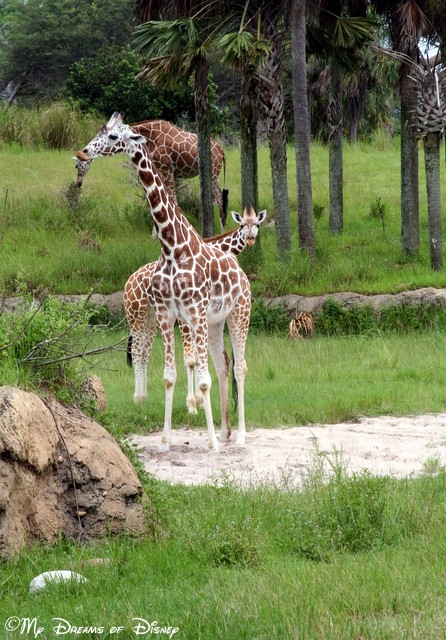 What do you think of the Kilimanjaro Safaris attraction at Disney’s Animal Kingdom? Do you like it, not like it, ride it every now and again, think it’s too bouncy, or what? Let me know in the comments, and thanks for stopping by!